Foreign Policy: The Imperial Presidency Of Obama Last week, U.S. and allied forces began military intervention in Libya, a decision which some praise while others criticize. But Bruce Ackerman of Foreign Policy argues that either way, Obama acted recklessly in not consulting with Congress, and says Congress needs to take certain steps to rein in the power of the presidency. U.S. President Barack Obama delivering a speech in Rio de Janiero, Brazil on Sunday. Obama traveled to Latin America earlier this week shortly after the U.S. began military intervention in Libya, acting without consulting Congress. Bruce Ackerman, a professor of law and political science at Yale, is the author of The Decline and Fall of the American Republic. In taking the country into a war with Libya, Barack Obama's administration is breaking new ground in its construction of an imperial presidency — an executive who increasingly acts independently of Congress at home and abroad. Obtaining a U.N. Security Council resolution has legitimated U.S. bombing raids under international law. But the U.N. Charter is not a substitute for the U.S. Constitution, which gives Congress, not the president, the power "to declare war." In cutting out Congress, Obama has overstepped even the dubious precedent set when President Bill Clinton bombed Kosovo in 1999. Then, the Justice Department's Office of Legal Counsel asserted that Congress had given its consent by appropriating funds for the Kosovo campaign. It was a big stretch, given the actual facts — but Obama can't even take advantage of this same desperate expedient, since Congress has appropriated no funds for the Libyan war. The president is simply using money appropriated to the Pentagon for general purposes to conduct the current air campaign. The War Powers Resolution doesn't authorize a single day of Libyan bombing. But it does provide an escape hatch, stating that it is not "intended to alter the constitutional authority of the Congress or of the President." So it's open for Obama to assert that his power as commander in chief allows him to wage war without Congress, despite the Constitution's insistence to the contrary. Many modern presidents have made such claims, and Harry Truman acted upon this assertion in Korea. But it's surprising to find Obama on the verge of ratifying such precedents. He was elected in reaction to the unilateralist assertions of John Yoo and other apologists for George W. Bush-era illegalities. Yet he is now moving onto ground that even Bush did not occupy. After a lot of talk about his inherent powers, Bush did get Congress to authorize his wars in Afghanistan and Iraq. Now, Obama is putting Bush-era talk into action in Libya — without congressional authorization. The president's insistence that his Libyan campaign is limited in its purposes and duration is no excuse. These are precisely the issues that he should have defined in collaboration with Congress. 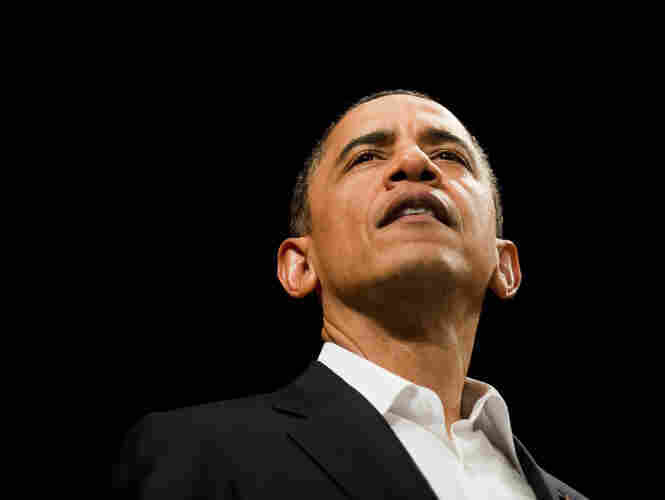 Now that he claims inherent power, why can't he redefine U.S. objectives on his own? No less important, what is to stop some future president from using Obama's precedent to justify even more aggressively unilateral actions? The U.S. Congress should also take more fundamental steps to bring the imperial presidency under control. In the aftermath of Watergate, Congress went beyond the War Powers Resolution to enact a series of framework statutes that tried to impose the rule of law on a runaway presidency. Many of these statutes have failed to work as planned, but they were the product of a serious investigation led by Senator Frank Church and Representative Otis Pike during the 1970s. A similar inquest is imperative today. In many respects, Bush's war on terrorism was a more sweeping breach of constitutional norms than anything Richard Nixon attempted in Watergate. Yet Congress has been silent, trusting Obama to clean house on his own.